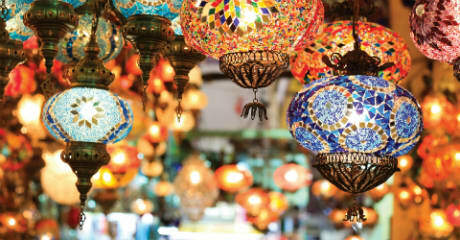 DISCOVER THE MAGIC OF RAMADAN IN SOUQ WAQIF. Come together with family, friends and colleagues this Holy Month at Souq Waqif Boutique Hotels in the heart of Doha. The Ramadan spirit is on full display throughout the one-of-a-kind environment every night, with lavish buffets featuring the finest flavors from Morocco and around the world. Delight in exquisite Iftar and Sohour experiences, with special packages available for corporate events and private groups; 10 guests or more will receive 10% off, and 50 guests or more will get 15% off *. A la carte menu will be served. Children 5 years old and below dine for free. Children between 6-11 years old get 50% discount.